Though German- and Italian-Americans were also sent to internment camps, it was on a much smaller scale. Only approximately 11,000 people with German ancestry and 1,881 Italian-Americans were interned — a tenth and a hundreth, respectively, of the number of interned Japanese-Americans. 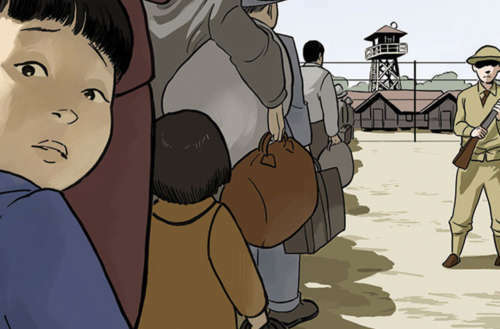 They Called Us Enemy, the George Takei graphic novel, focuses on Takei’s life as a Japanese-American during World War II. His family was first forced to live in converted horse stables in Santa Anita Park, a racetrack in Arcadia, California, before being sent to the Rohwer War Relocation Center in Arizona and finally to the Tule Lake War Relocation Center in California. Takei wrote the book with Justin Eisinger and Steven Scott. 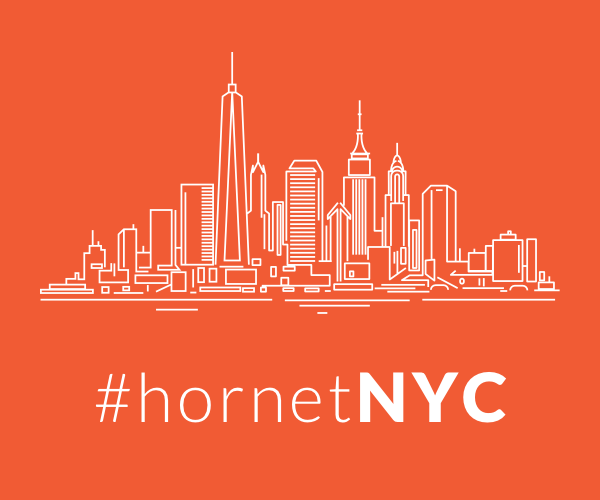 Harmony Becker did the art. 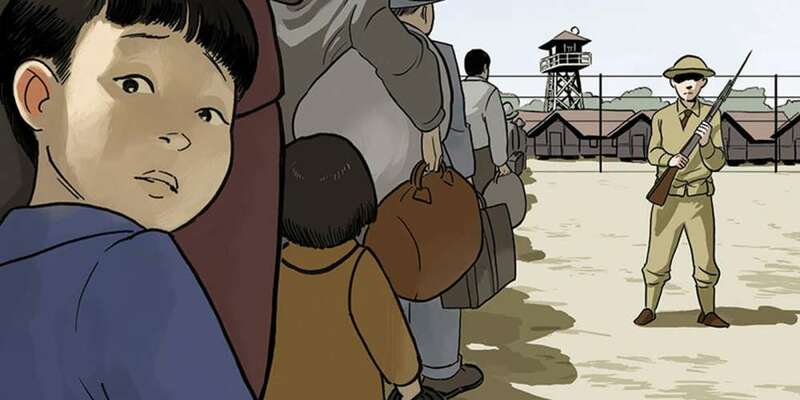 It will be published by Top Shelf Productions, which also published the widely-acclaimed graphic novel trilogy March, by civil rights leader Rep. John Lewis, writer Andrew Aydin and artist Nate Powell. If you’re one of the lucky people going to the San Diego Comic-Con, Eisinger and Scott will be hosting a panel discussing the book and showing some of Becker’s artwork for the book. The They Called Us Enemy panel will be Friday at 1 p.m. in Room 23ABC. 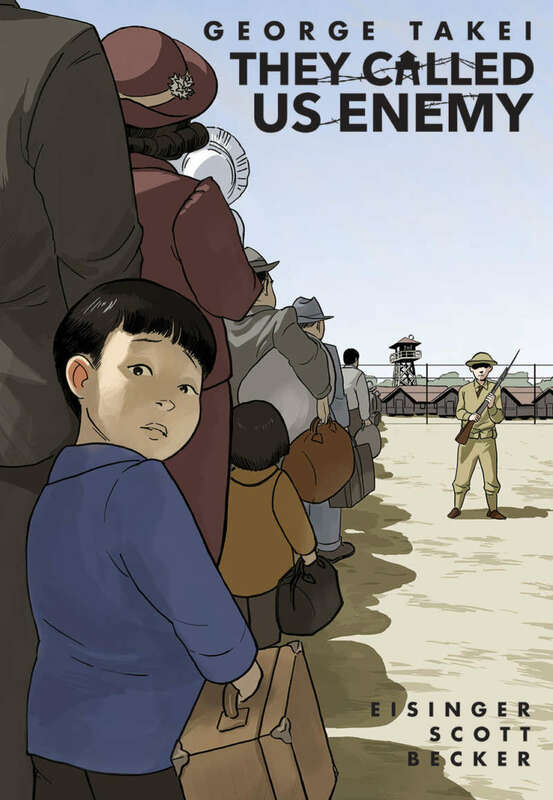 They Called Us Enemy, the George Takei graphic novel, comes out Summer 2019 from Top Shelf Productions.